The 2009 Ruth First Lecture featured three speakers: ANC stalwart and former Speaker of Parliament, Frene Ginwala, and Ruth First Fellows Jacob Dhlamini and Maggey Davie. It took place on August 17 in the Senate Room, University of the Witwatersrand, and was attended by approximately 250 people. 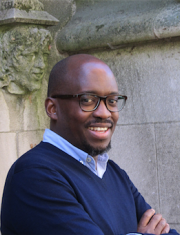 Jacob Dlamini, a native of Katlehong, obtained a MA in Social and Political Thought from the University of Sussex in 2008, and holds two MAs from Yale University, where he was a Fulbright scholar from 2003 to 2005. He graduated with distinction in 2002 from the University of the Witwatersrand, where he majored in Political Studies and English Literature. He is currently registered at Yale as a History PhD student. A journalist with 16 years of experience, Jacob has worked for Business Day and the Sunday Times. Maggie Davey was born in Johannesburg, grew up in Ireland and attended University College Galway. She has been in publishing since 1990, with David Philip Publishers, the Mail & Guardian and, since 2002, Jacana, whose motto is We Publish What We Like. Davey writes a column for Art South Africa, is writing a book on historical postcards of southern Africa and teaches publishing at Wits. Frene Ginwala studied law at the universities of London and Oxford. In 1962, the ANC sent her out the country to set up an office-in-exile. In Tanzania Ginwala established and ran a monthly journal, Spearhead, until she was deported. President Nyerere called her back to become managing editor of the national English-language newspaper, The Standard. After 1974, she worked full time for the ANC in Tanzania, Zambia, Mozambique and the United Kingdom and as journalist and broadcaster in East Africa and Europe. Prior to her return from exile in 1991, Ginwala was head of the Political Research Unit in the office of President Oliver Tambo. In 1994, she was elected speaker of the national assembly and was instrumental in many of the changes in parliament. 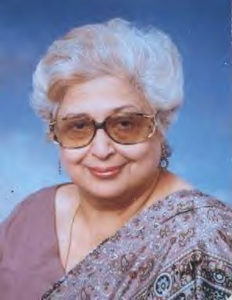 Ginwala has published widely on anti-apartheid and women’s issues.